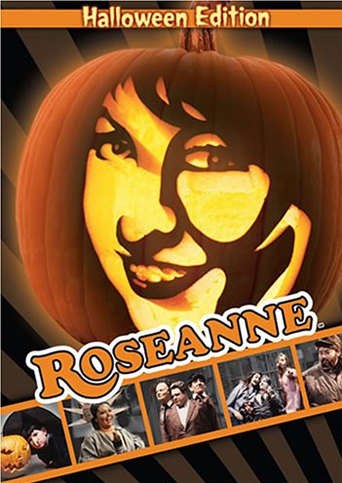 Roseanne Halloween – It’s a marathon of every Roseanne Halloween episodes, kicking off with the 1991 episode that included a guest appearance by George Clooney‘s Booker. Basketball Wives – The ladies all head to Hawaii for some rest and relaxation, but it all hits the fan when they start talking and realizing the reason they’re always fighting is because Jackie is always stirring the pot. How I Met Your Mother – Ted finally reunites with The Slutty Pumpkin, who looks a lot like Katie Holmes. Because she is. Real Housewives of Beverly Hills – Yep, they’re showing the late Russell Armstrong, as he threatens to sue one of his castmates. Is this the episode that makes you stop watching? Hawaii Five-0 – A drifter who puts a curse on Danny looks a lot like Robert “Freddy Krueger” Englund. Because he is. Rock Center with Brian Williams – Ted Koppel and Harry Smith are among Williams’ cohorts in this new newsmagazine, the network’s first in 20 years. One of the first reports is on a U.S. town that has a negative unemployment rate. – On Castle (10PM, ABC), Beckett has to rescue Castle and his mommy after they’re taken hostage in a bank robbery. – Last Call with Carson Daly (1:35AM, NBC): Thievery Corporation (REPEAT).